Prior to moving to Indianapolis, the Duesenberg brothers—Fred and August—built extremely high-quality and advanced engines and automobiles. Part of their reason for moving to Indianapolis was to return to their racing roots and be near the Indianapolis Motor Speedway where they had already enjoyed some success. The track could be used for testing their passenger cars as well as the racers. In 1920, they made their Hoosier home official and incorporated the Duesenberg Automobile and Motors Company. 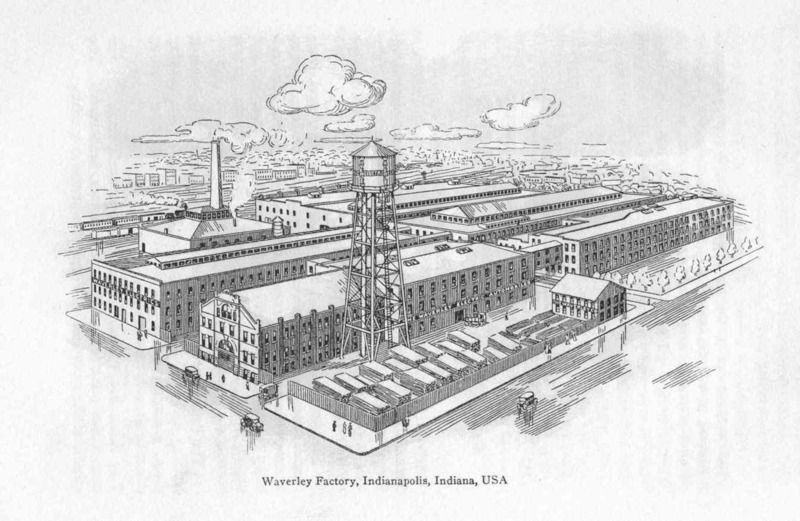 The company’s manufacturing complex consisted of a 17-acre site at 1511 West Washington Street that opened for production in July 1921. 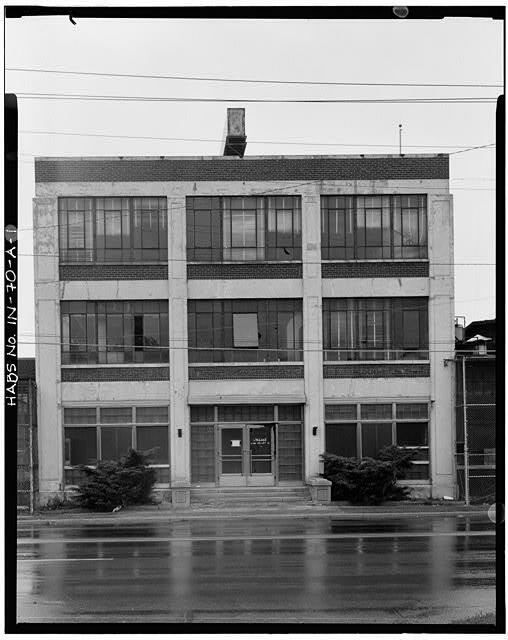 Duesenberg offices were located in Building No. 1, near the corner of West Washington Street and South Harding Street. Their first model, the Duesenberg Model A, was produced in Factory Building No. 2 along Washington Street. Factory Building No. 3, along South Harding Street, housed the paint, body, and final assembly operations. 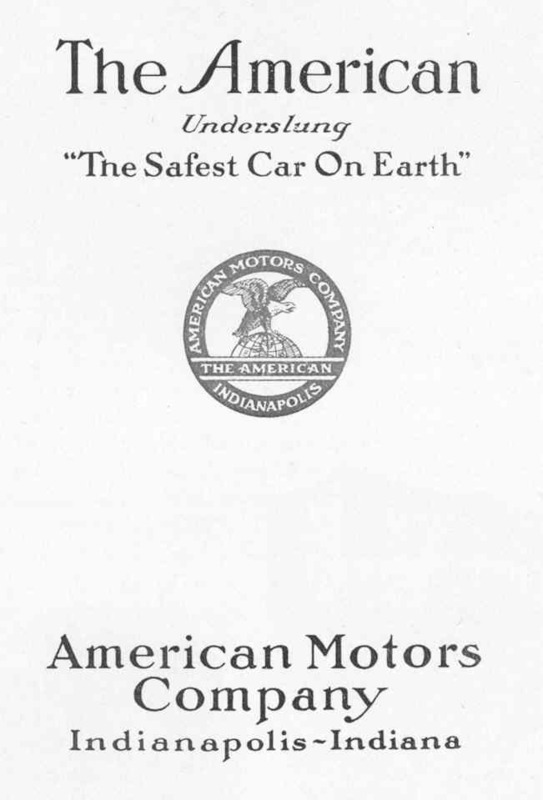 More than 500 Model A’s were built through 1927. Millspaugh and Irish, a local coachbuilder, built most of the later bodies for the Model A and served as an in-house finishing contractor for bodies from other coachbuilders. At a later date, five additional buildings were built behind Building No. 2. 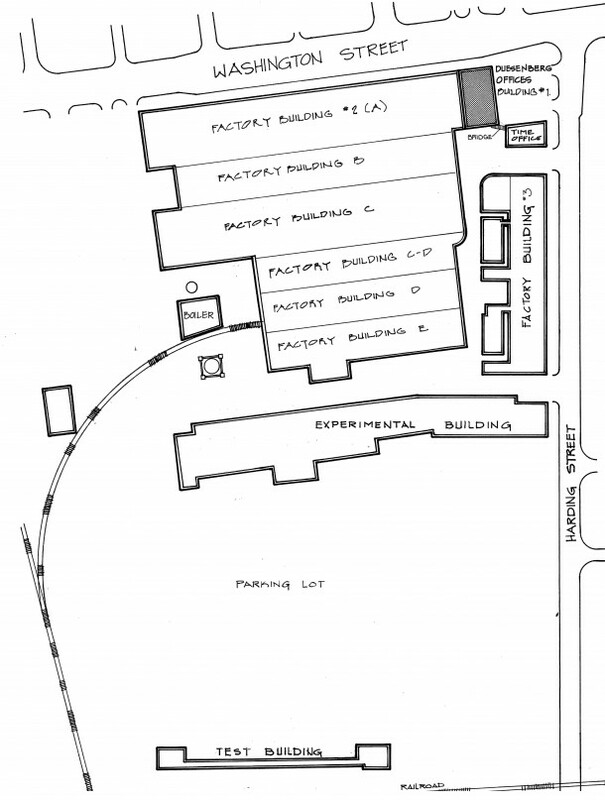 The Experimental Building was across an alley. 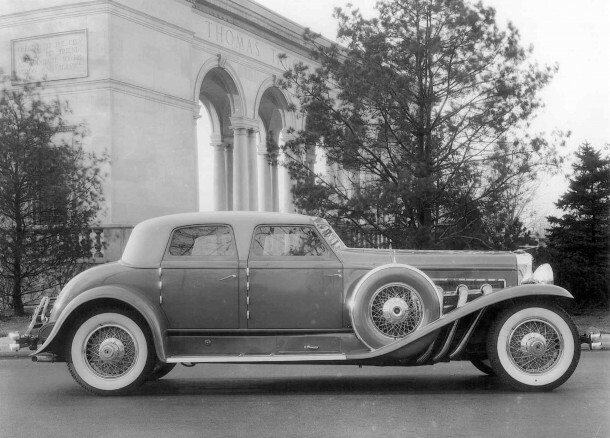 The Model J, introduced at the New York Automobile Salon for the 1929 model year, was the most remarkable automobile in America: bigger, faster, more elaborate and more expensive than any other car of its time. Model J’s were very popular with all leading coachbuilders. The catalogued models cost up to $18,000. 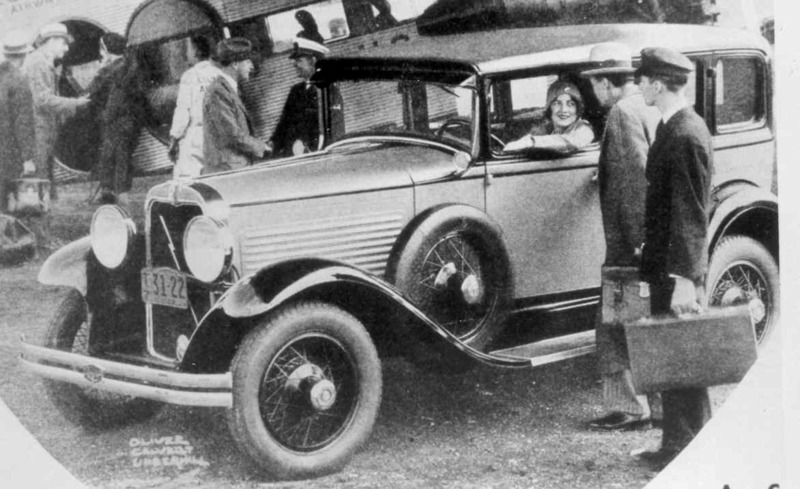 A later Model J—known as the Rollston SJ Arlington Torpedo Sedan and built as the 1933/34 Century of Progress show car—was nicknamed “Twenty Grand” for its reported price of $20,000. Duesenberg’s attention to detail was evident throughout the process and went a long way toward achieving the Duesenberg mystique. The Duesenberg Model J existed at a time when the coachbuilding craft was at its peak in the mid-1930’s. Yet, Duesenberg and coachbuilding declined and closed out the 1930’s era. The make survived most of the Depres­sion, but died in the collapse of the Cord Corporation, which had earlier bought the company, in 1937. Over 75 percent of the original Model Js built are still roadworthy some 70 years later. No other American marque has been so fortunate. 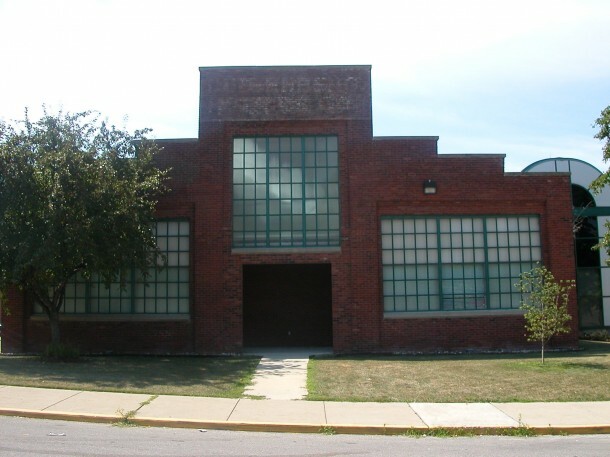 The complex was later used by Marmon-Herrington and American LaFrance companies for bus and truck manufacturing. Today, Building No. 3 houses the Indy Metro garage on South Harding Street and is the only remaining building from the original Duesenberg complex. On a good day, you can see the fading painted sign spelling out Duesenberg Motors Company on the north side of the building. Perhaps we should think of restoring the sign to shout the legacy of Duesenberg one of America’s greatest automobiles. Dennis E. Horvath is a “genuine car nut” who writes books and blogs, and develops websites intended to energize and excite auto enthusiasts. He is the web publisher of Cruise-IN.com: Celebrating Indiana automotive history. Additionally, he is the Web proprietor of AutoGiftGarage.com which features automotive gifts celebrating classic and collectible cars. 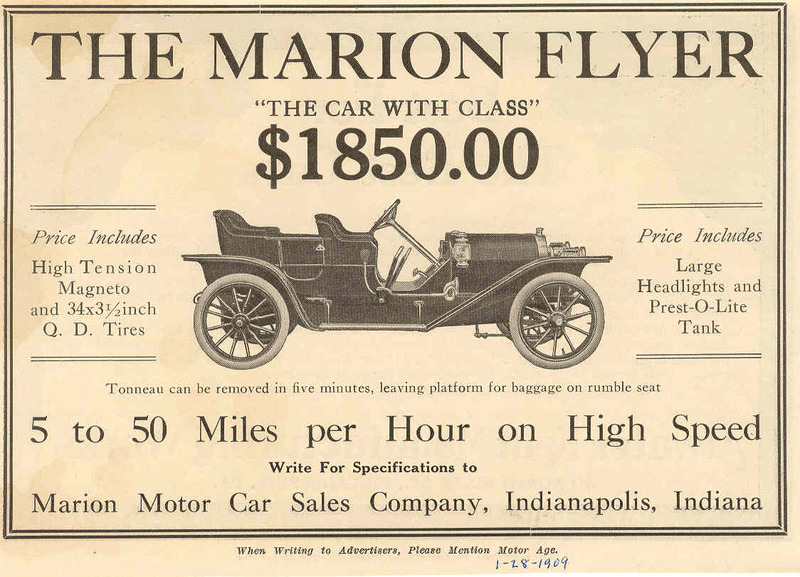 An excellent historical blog on Indianapolis’ former leadership in the emerging auto industry! Thank you for your comments. We’ll work on restoring the sign. My husband is a huge Duesenberg enthusiast, and we have been to the museum a few times, however not for a few years. Do you have any plans of having a show of Duesy’s possibly here in Indy any time in the future. As for the sign on the building, has that been done as of yet or is it still in the works? I had no idea these cars were made right here, he probably did, but you know wives don’t know everything. One of the best museums in Indiana is the Auburn-Cord-Dusenberg Museum at Auburn, Indiana. They ahve a Tucker — perhaps there were only eight or so made. I am a certifiable gearhead and love these posts. More please. Dennis i agree lets get the sign painted for history—us car nuts need to stick together and show what indianaoplis had at one time.